If you guys aren't familiar with the brand, let me do an introduction first! Dr. Young is a technologically advanced and innovative cosmeceutical brand from Korea that was launched in 2008 and is constantly improved under the leadership of a team of skin specialists and doctors. This brand in particular DOES NOT contain any mineral oils, and is LOW on preservatives/colorants. It focuses on HIGH levels of organic ingredients, botanical oils and natural water! It is in the hope of combining this skin nourishing goodness of natural ingredients with cutting edge skincare technology that we can all have a skincare system that makes taking care of our skin as simple as possible! Effortless too - I might add! There are five product lines under Dr. Young in the global market and they are the Anti-Dryness Line, AC Out Line, Protect-Prevent Line, and Anti-Pore line to cater to all the various skin concerns. The products are also reasonably priced with the most expensive products at only $73.90! This is one of the BEST SELLERS from Dr. Young, and it's not hard to see why! 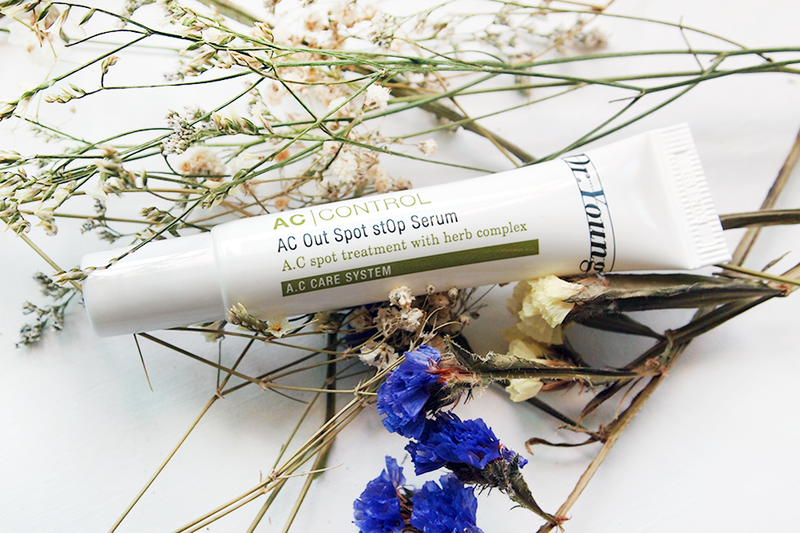 Acne can be stopped from spreading with this spot serum that has been infused with Green Tea, White Tea, and 5 Herb Extracts such as Licorice Root Extract, Sophora Angustifolia Root Extract, Artemesia Princeps Leaf Extract, Acorus Calamus Root Extract and Cnidium Officinale Root Extract which can soothe pimples immediately! Moreover, after absorbing these nutrients, a protective layer will be formed to retain nutrition in the skin. The best part is that the serum goes on completely clear and is absorbed SO WELL you cannot even see it! It is safe to put over makeup too, if necessary, for days you need to dress up but would like some treatment for your acne. Take it out with you wherever you go and reapply if need be! Simply apply it onto your acne directly and dab it in! Personally, in the day time, I take out a tiny goop, place a dot over each of my spots and then slowly tap till I see it absorb so I can go out without a trace of it on my skin. At night, I just leave the goop though, and let it absorb in slowly since it doesn't really matter if a film forms. 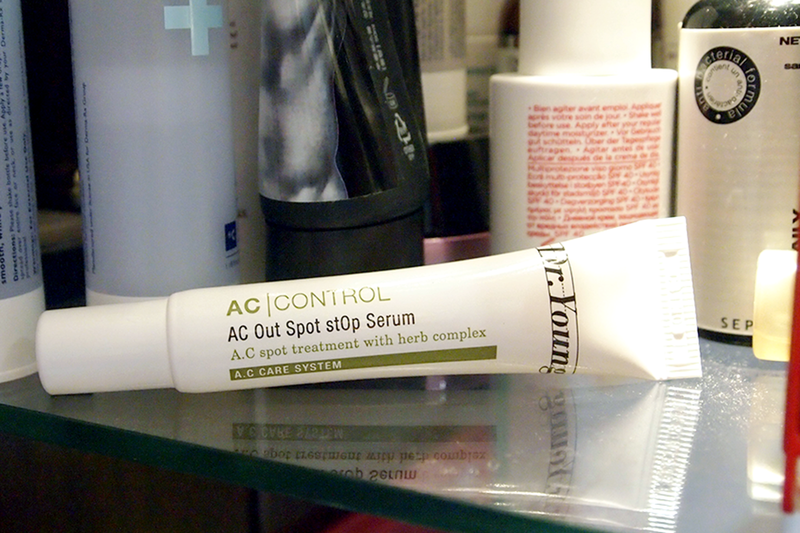 If applied over makeup, I suggest putting the serum on a cotton bud and applying a very small dot onto each area. I wouldn't suggest patting it in and mixing it with your makeup. Just leave it on and I believe it should be enough! 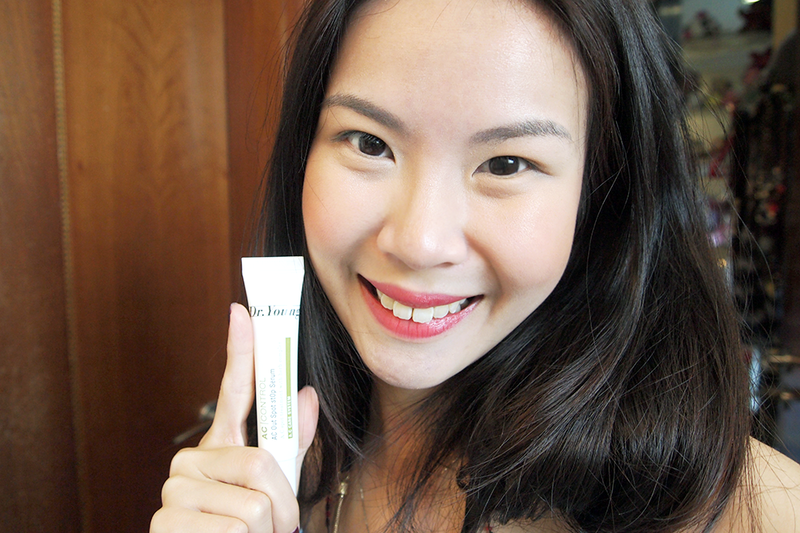 I tried this serum out for 3 days and was very impressed actually! I purposely placed it on these few dots (picture below) on the side of my forehead because they've been there for A MONTH -_- Can you imagine!? I have put so many types of pimple creams on them.. and they refuse to show a head or go away! They have remained red and only increased/slightly decreased this whole time. I was only getting more and more annoyed so I thought, why not try this SOS serum on it? As you can see, not ALL the dots have disappeared, though the last one left is just dried up and ready to go away! :D Now all that's left is to let the skin recuperate so the remaining scarring or dried skin left can flake off and go back to normal! 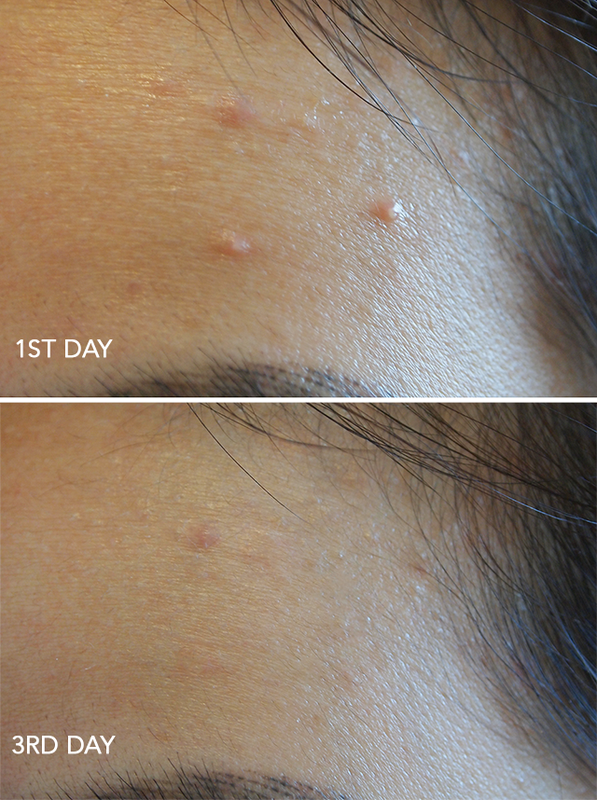 To be honest, I could already see results on the second day but I didn't want to take any photos... I've had too many instances where a product works for the first day but everything goes wrong by the third as I've got sensitive skin.. I've even had moisturizers which worked great on my skin the first day... only to break me out like mad the following day!!!! 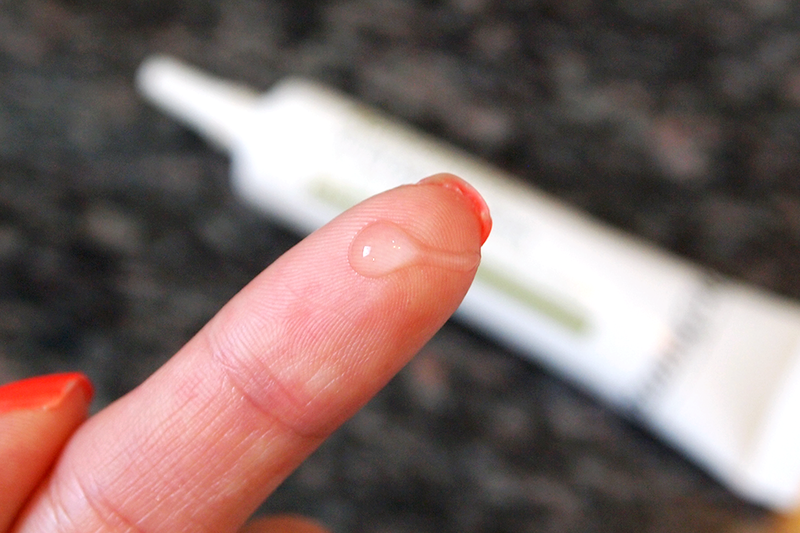 So this is really great news especially for people with sensitive skin! You can use this and know that it is just as effective but will not harm or hurt you! This is definitely one product I will not be able to live without, and as you can see it's earned its own special spot on my makeup counter! I love how portable it is and easy to use - because I can take it out and use it whenever I need to, be it overseas or even in my own office! It is extremely reasonably priced at only $37.90 for a pretty large amount! I would say that there’s nothing to regret from this because as you can see – it does work! 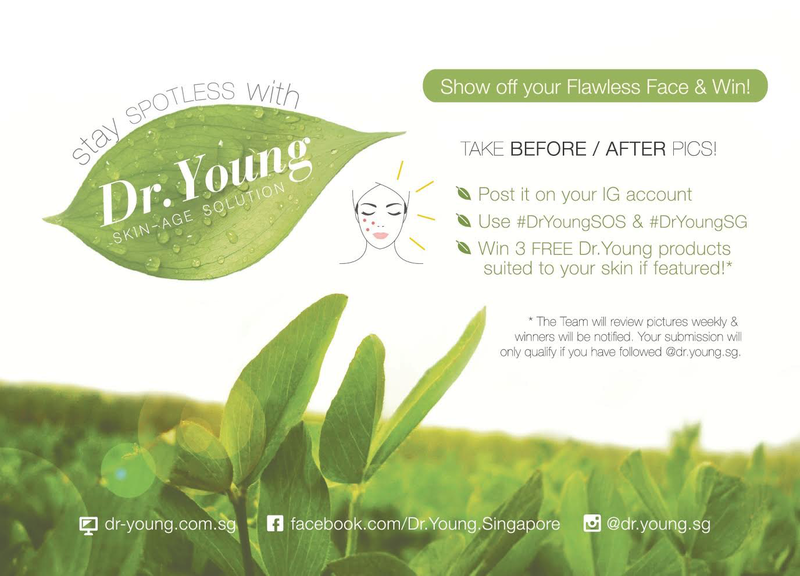 Plus, simply take an Instagram of your before/after and put it up to stand a chance to WIN 3 FREE DR. YOUNG PRODUCTS that are suited to your skin if yours gets featured on their Instagram page @dr.young.sg! Do take a look at their other products EXCLUSIVELY sold on their online store www.dr-young.com.sg or like their FB page at www.facebook.com/Dr.Young.Sg for more instant updates about promotions and giveaways! What are you waiting for!? Do hurry and get yours, then come back here and tell me just how much you love it! Yes, I’m that confident! ;) and it gets better! You can now redeem your free sample at on the Sample Store https://www.samplestore.com/catalog/product/view/id/2226 ! Looks promising! I'm actually looking for a new acne gel so the timing couldn't be more perfect! It's a shame it's out of stock on Sample Store. Oh well. Thanks a mil for the intro! 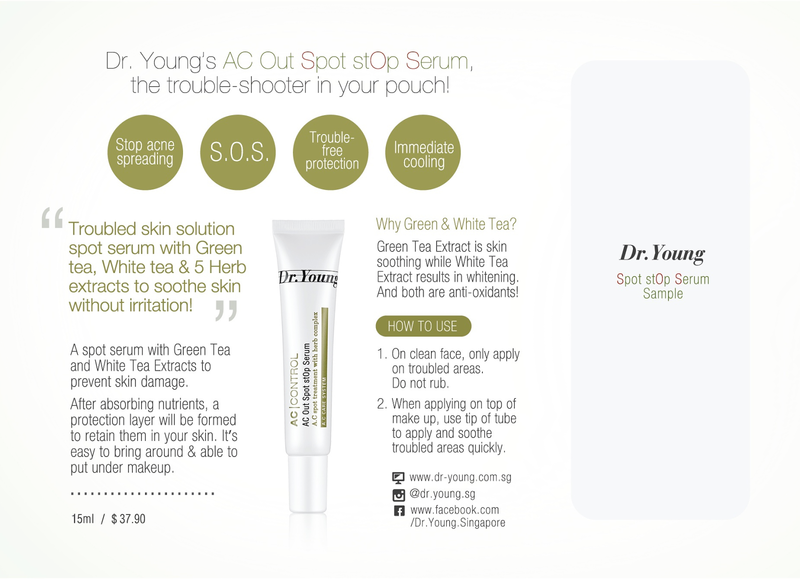 if it's out of stock, you can buy directly from Dr. Young's website too :) Perhaps try the waiting list?